When I was a child we often played memory games at parties. One version was to remember items placed on a tray which would be viewed for a short period of time then removed. Another involved matching covered pictures to find pairs. As a mature adult I have started to play “scientifically created” memory games on my iPad and computer to try to avoid age-related memory issues. 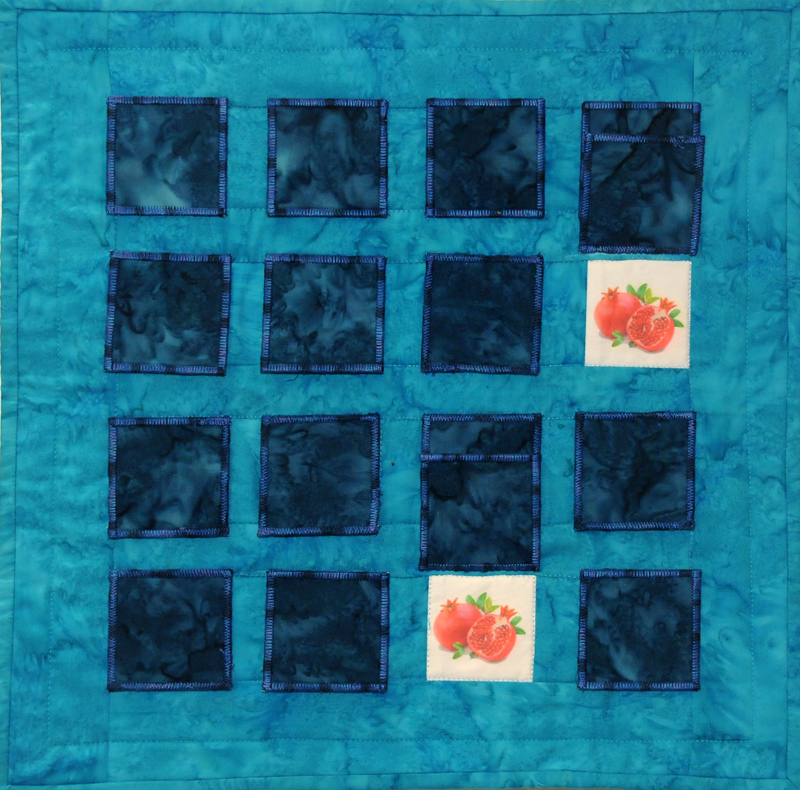 I have interpreted this month’s theme as a memory game board which can be played. 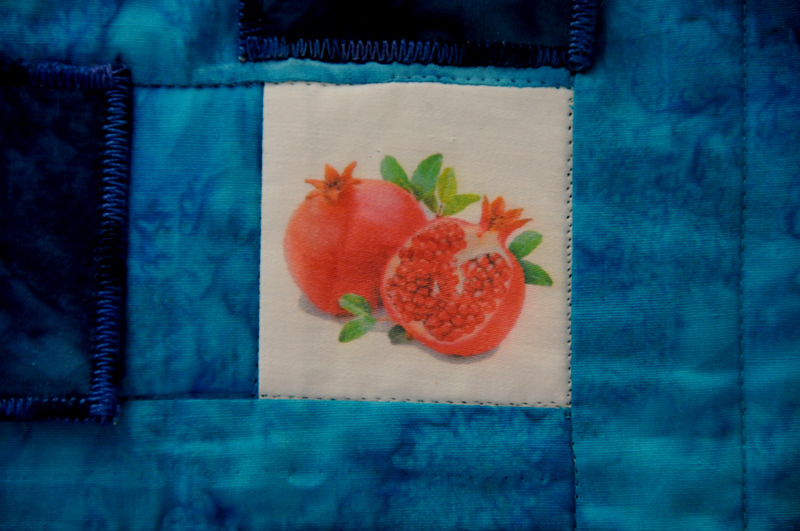 Eight pairs of fruit pictures were printed on fabric. 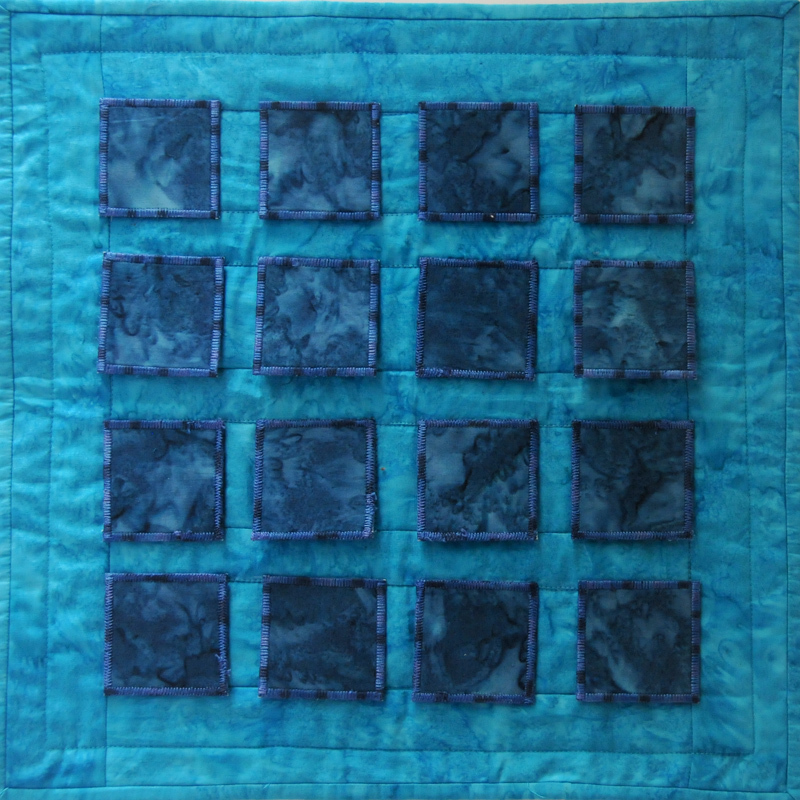 They have been set in a grid made of commercial batiks. They can be covered and uncovered at will to match the pairs. The machine and hand stitched covers are hinged.